In the beginning, there's a boy standing in the trees . . . Please wait a moment while I swoon. Holy sweet tea trays and blueberry muffins, that boy is HOT. 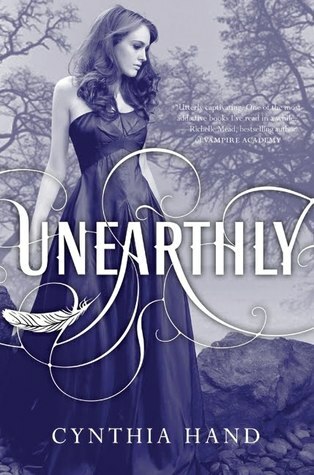 I'm actually angry with myself for not reading Unearthly sooner! It's actually funny, because when I first started Unearthly, I was team Christian all the way. But, then, Tucker became the sweetest, sexiest man ever, and I just couldn't resist his southern charm! And I do have a soft spot for nice southern gentlemen. If I were to cast Tucker in a hypothetical Unearthly movie, I think my pick would be Lucas Till. I mean, come on, look at that boy! He's like Tucker incarnated! He comes with a cowboy hat and everything! This is actually how I imagined Tucker in my mind while I was reading. I own this book but have not read it yet. I'm gonna try to get to it soon now, haha. LOL at this post. Hilarious. And always love southern charm!